It's all about running! But to be successful and long term runner with as few injuries as possible, you need not to forget the extras. I listened to a Runner Academy podcast with Bob Larson - famous coach of Meb Keflezighi. And what he emphasized about Meb was the dedication he has for every aspect of training. What you should not forget or where you can search for additional improvement are areas as nutrition, recovery (are you taking an ice bath after your long run, do you foam roll, ...), getting enough sleep, strength training in order to get your core ready for the extra beatings, trying to avoid any additional resources of stress and also stretching. I have been asked about my stretching routine. I have some special exercise that I get from my physio that takes about 5-10 minutes before I leave home. It is working on my inner stabilisation muscles and should improve the stride with my right knee (that was operated over 10 years ago). This is very individual and I would suggest that with any amount of rigorous excercise and running, you should consult a physiotherapist at least every 3-6 months if you do not have any troubles. I see mine every 1-3 weeks to be able to cope with the big amounts of training. So here is more or less what I do regarding the true stretching. I use dynamic stretches and strides after a brief easy pace warm up usually about a mile long. The stretching after the session should be longer, is more static and should help relieve the muscles that worked hard during your training. I have to admit, this is where I tend to fail. I have to hurry to work, or it is late and I want to sleep, so I cut my stretching short. I try to have similar attitude as with my running - every step counts. Eg. 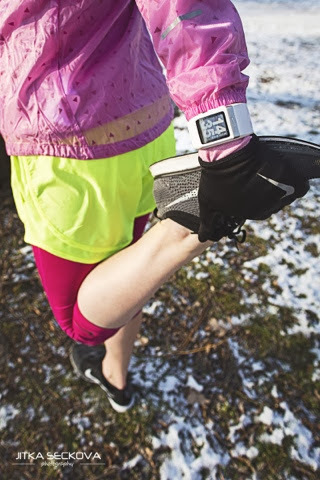 every few more seconds/minutes you stretch, it helps and makes you better runner. What "extras" would you recommend for other runners? What do you like doing and what to tend to avoid or "forget"?